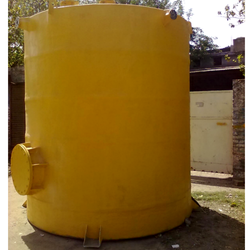 We are a leading Manufacturer of pp frp storage tank from Ghaziabad, India. With the help of our manufacturing unit and experienced personnel, our company brings forth an exclusive range of PP FRP Storage Tank . These tanks are designed and developed under strict measures taken by the team of professed experts possessing wide knowledge and in-depth experience in their respected area.